For much of the last year, I have been serving on the Energy and Economic Development Task Force to help develop a cohesive list of recommendations to advance the county’s greenhouse-gas emission goals while supporting the growth of jobs and the economy. The task force work yielded eight recommendations which were presented to the public, County Legislature, and TCAD Board of Directors throughout the summer of 2016. The county aims to reduce community-wide greenhouse gas emissions by 80 percent before 2050–an ambitious goal. The goal of the task force was to create a set of recommendations within the realm of local control, and that were feasible to implement within a 3-5 year time frame. With hard work and cooperation over the next few years, we can achieve significant progress. The full text of the executive summary from the EEDTF report is published below, with permission from Martha Armstrong,Vice President and Director of Economic Development Planning of Tompkins County Area Development. In 2014, a proposed gas distribution pipeline along West Dryden Road sparked community debate over the apparent conflict between Tompkins County’s economic development and greenhouse gas (GHG) emissions goals. The County Legislature and Tompkins County Area Development recognized the need to create an environment for productive discourse and development of practical solutions to meet both goals. Tactics include: meet with the Public Service Commission and NYSEG to assess alternatives to the West Dryden Road pipeline and establish a model process to reduce use of gas. Tactics include: leveraging resources of Cornell University, local industry and NYSERDA to help transition industry processes to non-fossil fuels. Tactics include: work with NYSEG to accommodate large amounts of renewable generation; promote a REV type program for natural gas; zone for renewable energy development. Tactics include: develop a community-wide Transportations Demand Management program and encourage major employers to adopt electric vehicle-friendly policies. Tactics include: create an energy rating system for housing; enact land use codes that promote density in “smart growth” locations; resolve the split incentives problem between residential building owners and tenants to improve energy efficiency in rental buildings. Tactics include: create materials and sponsor workshops and forums to help forge a common understanding of energy and economic development issues. Tactics include: consider these recommendations in developing the Tompkins County Energy and Economic Development Strategy Update and convene a task force at least once a year to review progress. 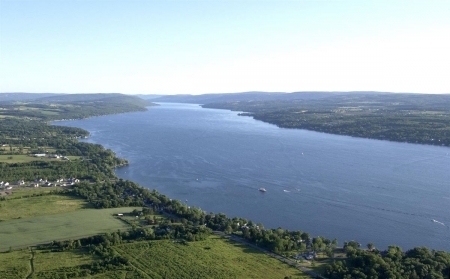 The EEDTF proposes that these actions – if taken together – will support economic growth in Tompkins County while simultaneously meeting the County’s goals for reduced GHG emissions.